Of all the rooms in the house, the bathroom is the one that tends to get neglected the most. The reason for this is unknown, but usually, it’s something to do with the fact that it’s the room that gets the least use. That being said, just because your bathroom may not get used as much as your living room and kitchen, it's not to say that it shouldn’t be a space that you love because it should be, as should every room within your home. Your home is your haven from the world. Therefore, you should love every inch of it - including your bathroom. In an ideal world, you would have an en suite in your bedroom, your kids would have a bathroom to share, and there would be a cloakroom featuring a toilet and sink downstairs. However, life isn’t perfect, and neither are our homes, which is why a lot of families have to make do with just one bathroom that serves the needs of everyone. It might be a squeeze, but a shared bathroom isn't the end of the world. When a whole family shares one bathroom, it can be hard to get the design, styling, and layout right. The fact is that a family bathroom has to cater to a range of ages and needs, which means that creating a space that is a perfect fit for you and your family can sometimes be a struggle. That being said, the good news is that there are plenty of ways that you can ensure that your family bathroom effectively serves the needs of the entire family. It might take some planning and lots of inspiration and ideas, but it is possible to create a shared bathroom that is a perfect fit for your entire family. If there is one thing that every family bathroom should be, it is a minimalist space. The fact is that when it comes to bathrooms, having clutter everywhere has a huge impact on the space. It’s much better to opt for a bathroom that is minimalistic, rather than packed full of clutter. Cluttered spaces are not only difficult to relax in but are also somewhat difficult to keep tidy because there is always so much clutter everywhere. Be strict with yourself, have a clear out and only keep what you actually need. For a bathroom that has a clean look and feel to it, white could be the ideal colour to incorporate. For a family space white may not seem like a good option, but actually, if the bathroom is entirely wipeable, from the surfaces to the walls, then white can work well. It’s sleek, stylish, and incredibly calming and relaxing - what else could you want from a bathroom colour scheme? Do you have young children - children that you bath together? If the answer is yes, then a double-ended bathtub is a must. No one wants the tap end, which is why having a bath with the taps and plug in the centre is ideal. Plus, for the adults who are tall, a double-ended bath can be much more comfortable as you don’t have to rest your feet on the taps, you have all the room that you like to stretch out. Just make sure that the tub that you pick has a plug that doesn’t open when pushed down, as this can mean that mid bath, the plug pops up and the water begins to drain. In a family bathroom, having a separate shower and bath is handy, especially when your children are younger. Find a way to squeeze a shower and a bath into your bathroom, so that bathtimes are much easier. Opt for a shower stall that has frosted glass, so that the person using it has a little privacy from whoever is in the bath, this not only saves time but money too! Try and persuade the older members of your family to shower, it'll save you a small fortune over the years on water and gas charges! My top shower tip is to buy a shower timer, you can pick them up relatively cheap nowadays, I was fortunate enough to get one from Freebies UK a few years ago thats lasted way longer than I ever expected it to! For a bathroom that is shared by a large family, a sink with double taps is a must. You could opt to have two separate basins installed, but to save room, one large sink with two taps probably would work best. 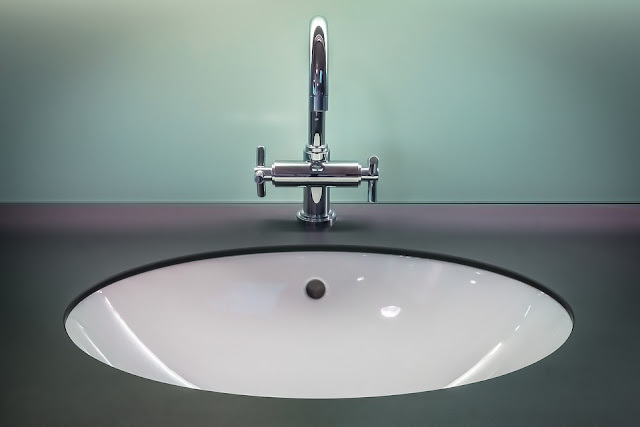 There is nothing worse than everyone trying to crowd around one tiny sink to wash their hands before dinner, clean their teeth before school, or wash their face before bed, so having a double sink (or two sinks if they will fit) is a great feature for a family bathroom. All the best family bathrooms are practical spaces that make family life easier, and if that means incorporating a double sink, then that is what you should do. Every bathroom, regardless of its size, needs storage space. To keep your family bathroom in good order, having plenty of storage space is a must. If you are lucky enough to have built-in storage space, make sure to make the most of it by storing your items smartly. If you don’t have built-in storage space or require additional space, bathroom vanity units are perfect for adding extra storage space to any bathroom. So investing in one of these could be worth considering, if you want to ensure that your bathroom has plenty of storage space, that is. Don’t make the mistake of thinking of your bathroom as a purely functional space; it is also somewhere that should be a smart, stylish, and well-designed place. The fact is that your bathroom, like every other area of your home, should be somewhere that you love the look and feel of. Don’t be afraid to ‘jazz up’ the space, so to speak, with a few well thought out accessories. Choose towels, bath mats, soap dispensers and dishes, wall art, and ornaments that add that little bit of extra style. Take inspiration from design blogs and magazines, and use photo sharing sites like Pinterest to get ideas. For when you are having your bathtime and want to relax and unwind, keep some scented candles, some lavender bath oil, and maybe some potpourri to place around the bath. The fact is that your bathroom might be a family space, but that doesn’t mean it can’t also be somewhere for you to relax and unwind in at the end of a long and hectic day. Sick and tired of seeing your children’s clothes and dirty towels spread across the bathroom floor despite the laundry basket you have in place? Consider having a laundry chute fitted that leads straight to your kitchen. Most American homes have them, and they are an incredibly useful feature to have. The chances are, your children will love the idea of a laundry chute - aka a slide for their clothes - and will be more willing to put their clothes and dirty towels down it. Plus, the face all the laundry leads straight to the kitchen or utility room, makes it easier to keep the space clean and keep on top of the washing - it’s a win-win situation. There you have it, a guide to an array of ideas and inspiration, for creating the most incredible family bathroom that is functional, smart, and wonderfully stylish. Hopefully, the tips and ideas above will allow you to make more of your family bathroom, transforming it into a space that is a perfect fit for yours' and your family's needs.